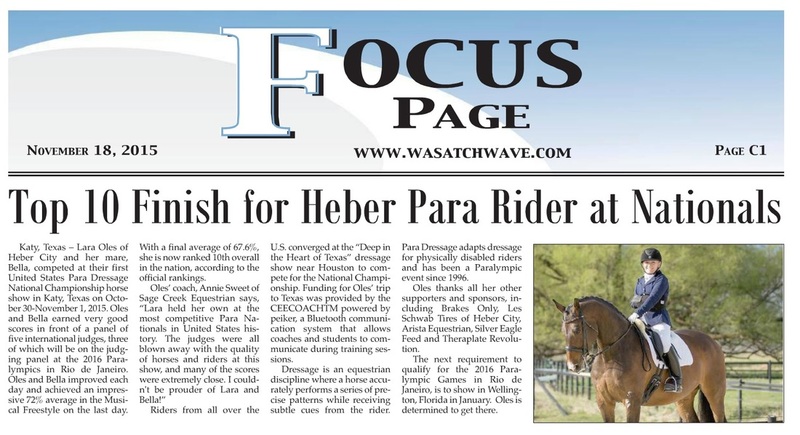 November 2 - "Top 10 Finish for Utah Para Rider at National Championships​"
August 23 - "Strong Finish for Utah Para Rider"
June 14 - "Utah Rider Qualifies for Paralympic Selection Trials"
May 18 - "Utah Para Equestrian Wins at the Idaho Dressage Festival"
May 18 ﻿- "Utah Para E﻿questrian Wins at the Idaho Dressage Festival"
June 21 - "Many Firsts for Two Utah Para Equestrians"
December 6 - "Utah Rider Brings Home Reining Horse Championship"
Lara in the News - Click on the images below to see the articles. Wrap-up news release on Fall 2013 U.S. Para Dressage West Coast Symposium. News release on the 2013 Para Dressage Symposium. Dressage Daily Article discussing the para/adaptive dressage camp held at Carlisle Academy Integrative Equine Therapy & Sports. Lara won the 2011 Adult Independent Rider Award from PATH International. Click on the link above to see the press release. 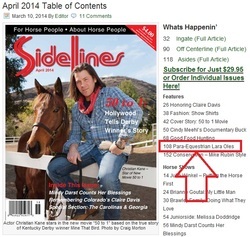 Lara featured in the April 2014 issue of Sidelines Magazine. 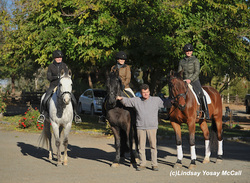 Wrap-up news release on Spring 2013 U.S. Para Dressage East Coast Symposium. Interview about the 2013 Symposium. 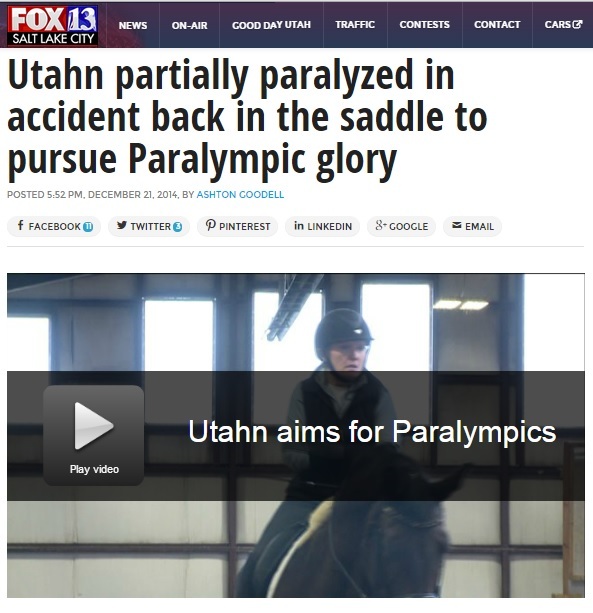 As an active rider and member of the United States Para Equestrian Association I am featured of their website. 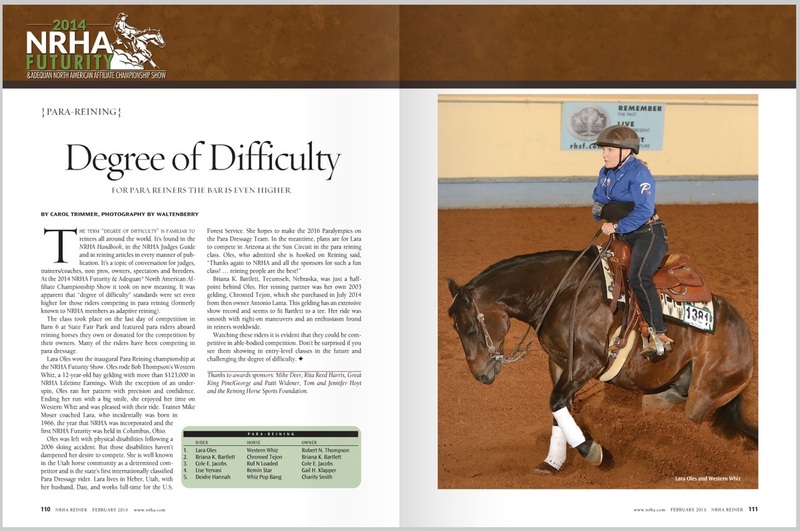 Lara Featured in the "Equine Enthusiast" spring 2012 issue. Lara Featured in the "Equine Enthusiast" fall 2011 issue.